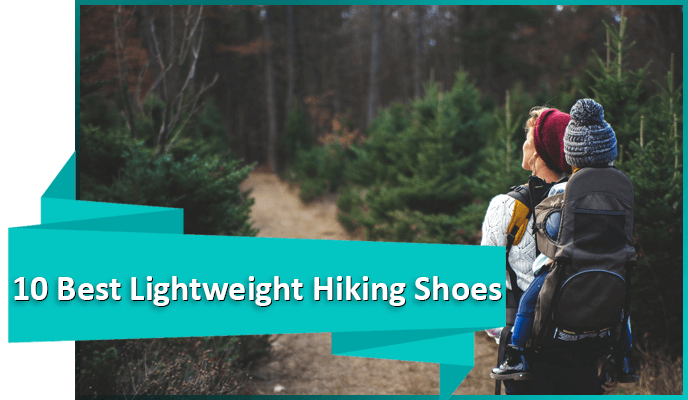 When you’re hiking in warmer or dryer weather, you don’t need to use a tall hiking boot, you can use a hiking shoe instead. 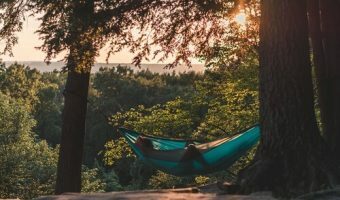 To choose the best hiking shoes, we made sure our picks were well reviewed by users and popular with different types of hikers. 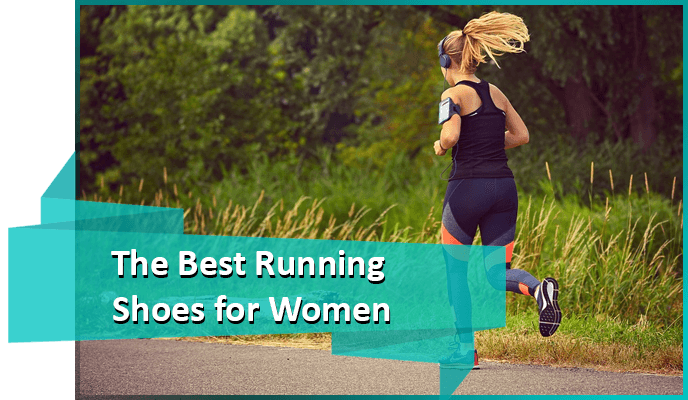 We took into consideration the shoes’ outer material, durability, tread, and ranked them by their popularity. 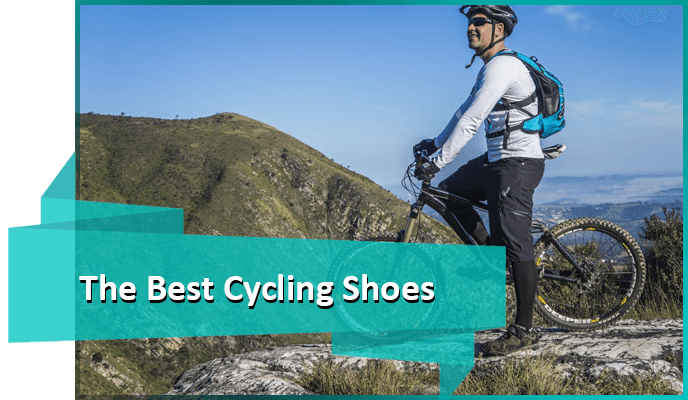 Here are our picks for the top 10 best hiking shoes for men and women. 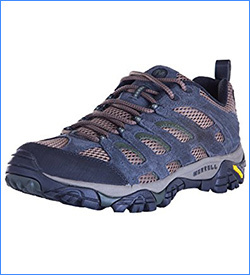 These hiking shoes are made from a combination of suede leather, mesh, and webbing. 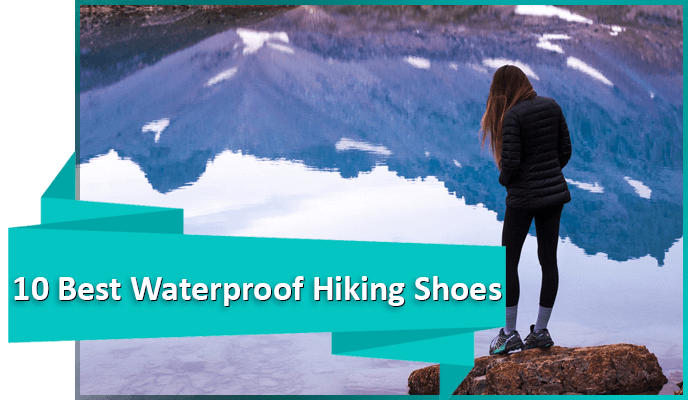 They are waterproof and will always keep your feet protected from rain and puddles. 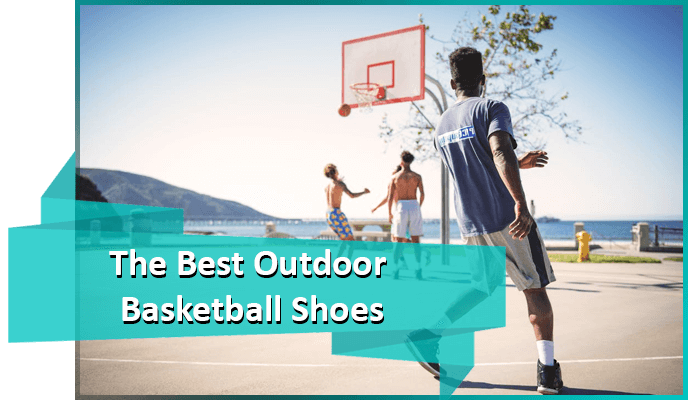 Also, they come with an Omni-tech breathable seam-sealed midsole that offers comfort and superior cushioning, as well as traction rubber for a great grip. The Chameleon from Merrell is ranked tenth on our list because it’s made from quality leather and fabric and stretched to conform to your feet. They have a padded collar for ankle support. These shoes don’t have much traction, however, and the laces must be stretched to fit and can’t be securely tied. 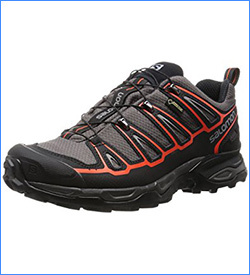 The Eskape shoes from Salomon are made from a synthetic material, resembling a running shoe. 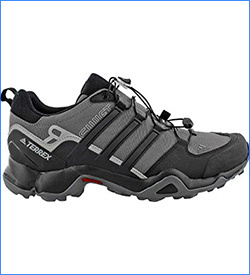 They are some of the best hiking shoes for men, and although they need to be broken in a bit, they are durable and comfortable. The rubber sole provides great tread, and the sole provides adequate support. 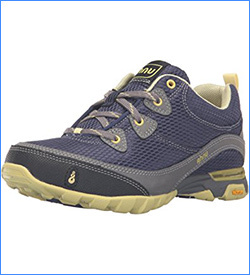 Next on our list we have one of best hiking shoes for women, the popular Sugarpine shoe from Ahnu which has a simple streamlined design. It’s made from leather and fabric, with a removable EVA footbed. Users say the Sugarpine is supportive and comfortable right out of the box, though they may run a little too wide for some. The North Plains II will blend right in with the trail. They’re made of a leather and textile webbing, with Columbia’s signature Omni-Grip tread technology and a comfortable footbed. They are waterproof and seam-sealed. 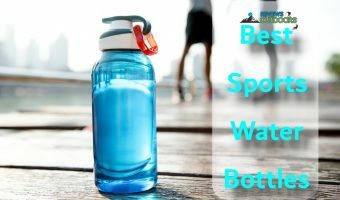 Use these hiking shoes on a variety of different hikes. 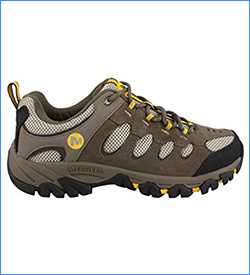 For more hiking shoes options, you can check out this best lightweight hiking shoes selection. The Ridgepass from Merrell is popular for both men and women. It features breathable mesh on the leather and fabric upper. 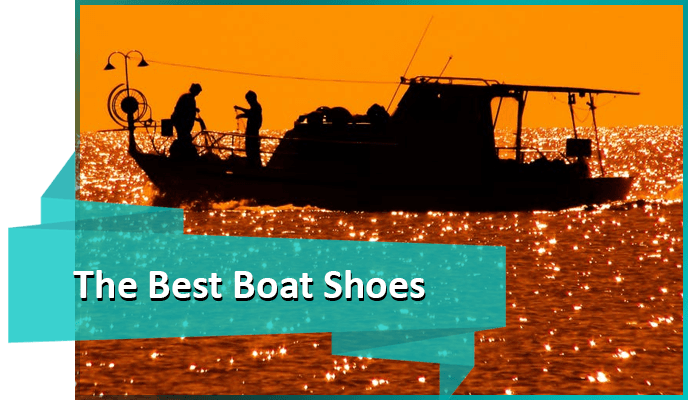 They’re durable and well-made, and they’re comfortable to wear although the sole is a bit thin. Also, they have great grip. 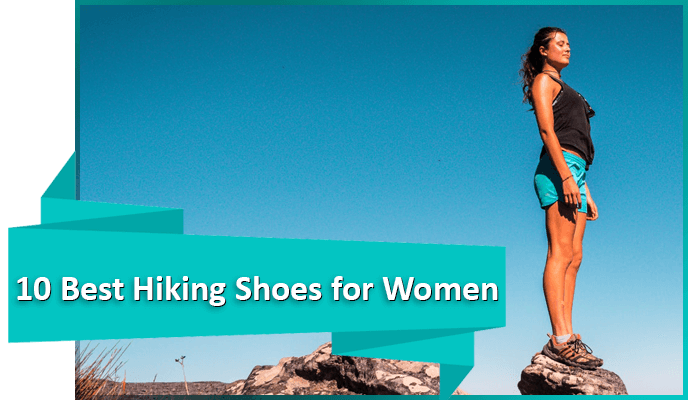 You can look here for more hiking shoes for women. 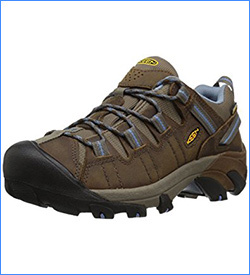 Hikers of all genders and experience levels use the Targhee II by Keen. 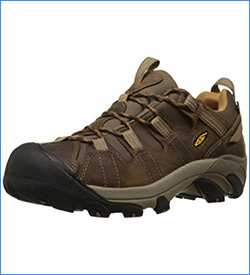 With a leather upper, this hiking shoe has a snug secure fit and a lugged outsole for strong grip on a variety of terrain. 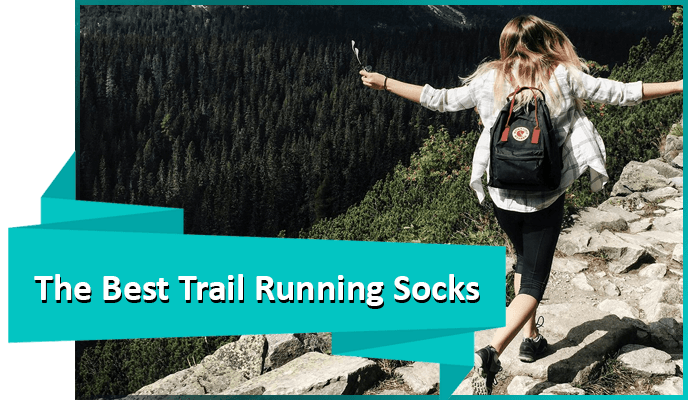 They’re waterproof, but also contain a mesh lining so your feet get some ventilation during long hikes. 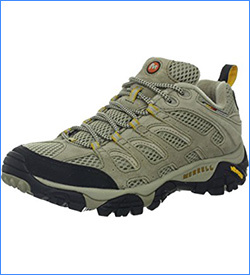 The Terrex Swift R hiking shoe is comfortable and well-made. It has a comfortable sole, and the outsole is made of high-traction rubber that won’t slip on rainy days. 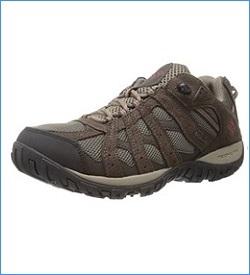 It’s lined with Gore-Tex, keeping your feet safe and dry. The plainer colors are also simple-looking enough for everyday wear. 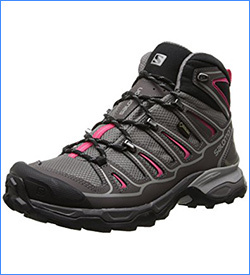 If you’re looking for a hiking shoe with more ankle support, yet not quite tall enough to be a boot, the X Ultra Mid 2 is right up your alley. 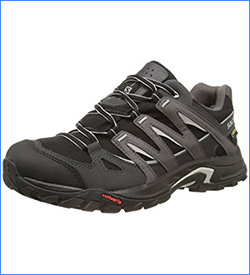 This mid-cut hiking shoe is made from synthetic materials and is waterproofed with Gore-Tex. Users say they’re comfortable out of the box, although they do run wide. They have good tread and are medium weight. 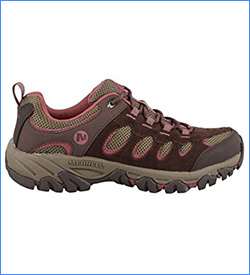 The Siren Sport 2 from Merrell is one of the best women’s hiking shoes. They are designed to securely fit and support your foot, with an Ortholite footbed. 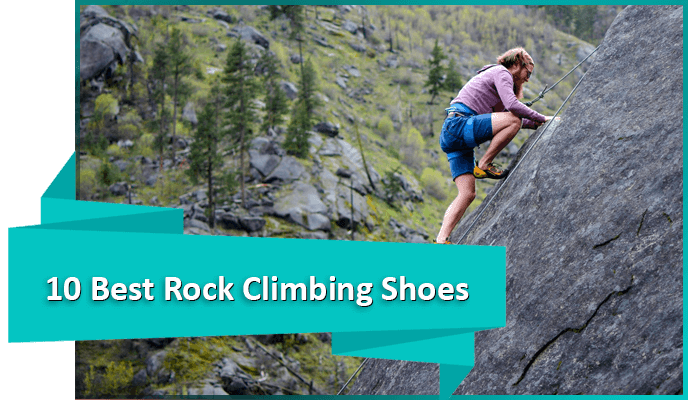 The Vibram soles provide adequate traction for a range of terrain, however, they are best for shorter hikes. 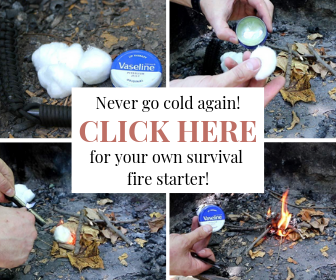 They’re breathable, which makes them perfect for warmer and drier weather. 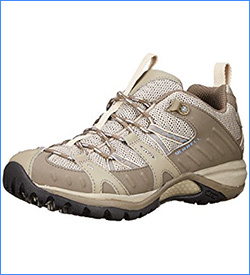 At last, we come to our number one most popular pair of best hiking shoes. These shoes are made of leather and mesh, they also have a Vibram sole for comfort and traction. 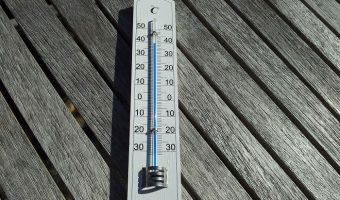 They’re water-resistant but are still ventilated well enough that your feet will never get hot. They’re usually durable and feel sturdy on the feet. 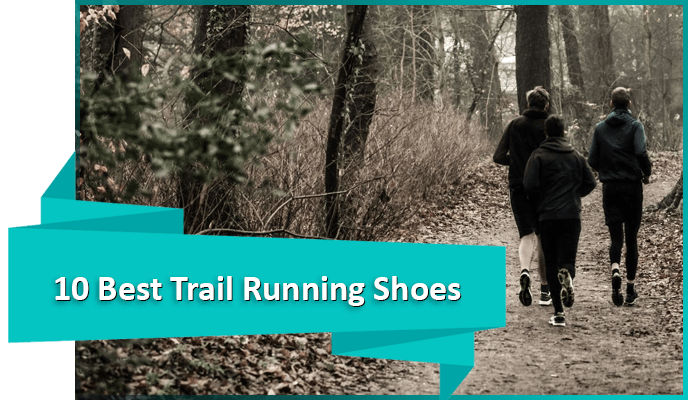 Everybody’s feet are different, and we all have our own favorite type of trails to hike. 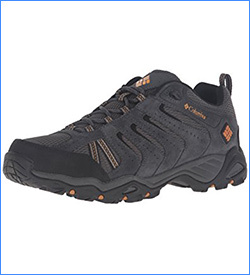 The shoes above will work for a variety of different needs, they have a shape more similar to sneakers than boots, yet with all the rugged features you need for an adventure on the trail. 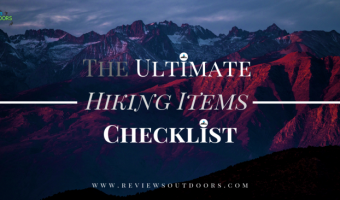 Hiking shoes that work for one person may not work for another, so let us know your own tried-and-true hiking shoe picks in the comments.